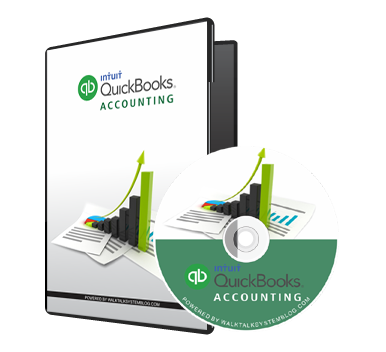 QuickBooks Accounting Software Solutions(developed by Intuit) is one of the commonly used Accounting Software. compared to another commonly used accounting software called Sage 50(Former Peachtree Accounting), QuickBooks is another recommended accounting solutions for SMEs and mid-sized businesses. Apart from its user-friendly interface, QuickBooks provides robust functionalities, diverse reporting formats as well as multi-currency functionality. More also, the Software can be obtained at prices which are tailored to suit even the smallest-sized business. That is, with $250, you can get your business running on QuickBooks. As a corollary to the above, if you are an accountant or a prospective accountant, it is very important you have the knowledge to use at least two accounting software for SMEs and mid-sized business; QuickBooks is one of the recommended solution. Therefore, if you must be able to use QuickBooks effectively and efficiently it is important you are well tutored and mentored to be able to understand the technical nature of the software and deploy same for your business. However, to attend an on-site QuickBooks Training Program that is up to standard you will have to spend nothing less thanN20,000 to N30,000 for a crash program.